CallmeRoger.com: (Re)Built My First Coil Ever! 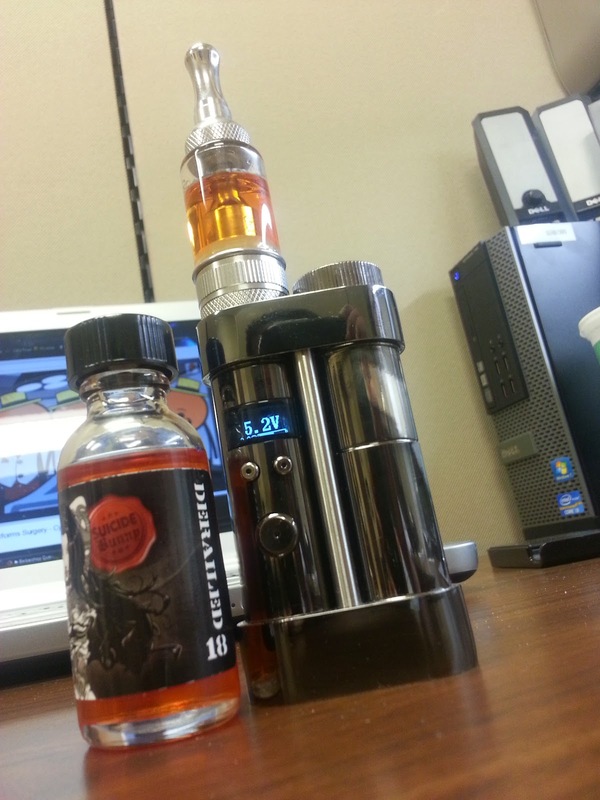 Rebuilding the Aspire Nautilus BVC... Almost! (Re)Built My First Coil Ever! Rebuilding the Aspire Nautilus BVC... Almost! Building coils for any atomizer is something I have yet to venture into. 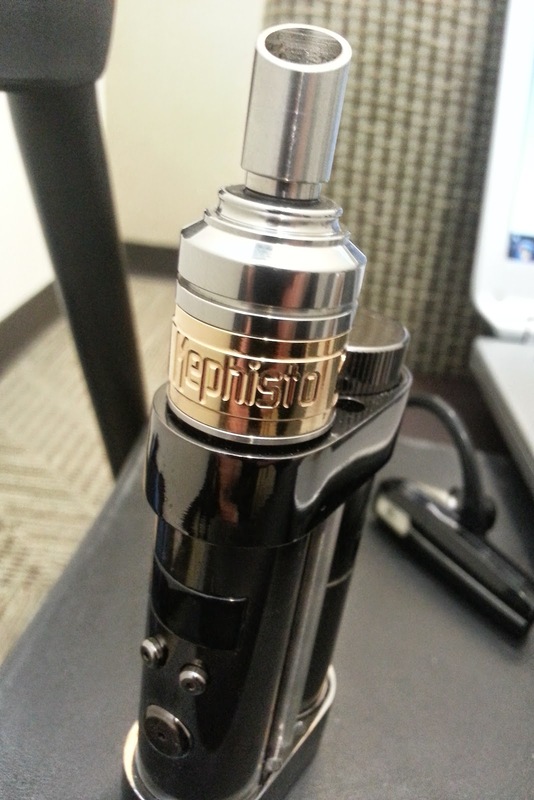 I recently bought my first rebuildable dripping atomizer, the Mephisto (clone) and I have yet to build my own DIY coil for it, instead of having a local vape shop do it for me. This evening, I got tempted to attempt to rebuild one of my dead coil heads for my Aspire Nautilus. I have been using the Bottom Vertical Coils and my first one died out on me. From the vape shop the other day, I got less than a foot short .28 gauge Kanthal and a cotton ball. The Kanthal wire had about 8 wraps already, since I was told to practice wrapping at the vape shop. So I thought to myself, "This should be enough gear for me." I started watching a YouTube video by Rip Trippers (video below) about rebuilding the Aspire Nautilus BVC coil heads. Then I realized that there are some things I'm just not going to have; like enough Kanthal wires, Japanese Organic Cotton (Koh Gen Do Pure), a 1/16 drill bit and a torch. I ended up having to use regular organic cotton that I got from Walgreens. I have tweezers and scissors and a couple of tiny screw drivers. Just by following this video, and with enough tools (or lack thereof), I was still able to rebuild my BVC coil head! The only problem I had was the airflow. I had some congestion on the airflow since cotton got in the center of the coil. But I hit my target resistance: 1.8 Ohms! That's the resistance my Vamo v5 was reading. Now many people know that the Vamo's resistance meter can't be trusted so easily. But it's all I have, until I get an actual Resistance Meter. I tested it anyway. It worked fine! It was a very restricted draw as Rip Trippers mentioned on the video, but it worked! I have NEVER built a coil in my entire life! Not even for my Mephisto RDA clone. I guess I got to start somewhere, since I'm slowly getting into vaping with mechanical mods and RBA / RDAs. I'm going to go shopping for some tools, and I'm going to be ordering some Kanthal .28 gauge online. This challenge was very satisfying to know that I was able to do something I didn't have any experience in doing. One of the things I've been wanting to do ever since I started vaping was to DIY things, from rebuilding coils for drippers, rebuilding atomizers and making my own e-liquids. It's been 60 days since I started vaping and maybe I have much more to learn. I'm also planning to blog about it, too!